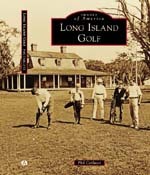 Golf On Long Island's "Origins" series explores the history and development of those local golf courses whose backstory is a bit more unique than most. Stay tuned for more as the season progresses. "One day you see a farm, a wood or meadowland. A few days afterward a sign pops up announcing a new golf course and before long that sign is gone and in its stead one sees acres of plowed land, the rounded forms of greens rising from the flatness." Golf courses exploded during the booming 1920s, but clubs that waited until late in the decade or into the '30s to post those signs ahead of new layouts found themselves cornered by financial crisis right from the opening drive. Some persevered, though most were short-lived. One of the rare "success" stories remains in Oceanside. The Golf Club at Middle Bay knows plenty about perseverance. At the beginning of this current decade, it was a 55-year-old private club. Two years later Hurricane Sandy arrived, inflicting millions of dollars worth of damage to the grounds, clubhouse and equipment, and the club made the decision to close in the face of bankruptcy. Within months, a former member resurrected the club as the semi-private, publicly accessible South Bay Country Club. After only one season, issues with the lease led to another brief closure, a new operator and a new identity as The Golf Club at Middle Bay. But rewind to the early 1930s, when Trost's description of the course-building rush served as the lede to a story about yet another new course, this one called the Oceanside Golf & Country Club, opened in 1931 on both sides of Waukena Avenue at its intersection with Skillman. The course had actually been in the works since 1929, mere months before the stock-market crash. John Duncan Dunn designed it, and despite its proximity to the bay, there was only one water hole on the course, and its hazard was artificial. "This new course is essentially inland in character," Trost described during an April 1931 tour. "No back-breaking carries, no awe-inspiring water holes like ... at Lido. But there'll be wind. And coolness. And trouble. Depend upon that." And so Oceanside set out on its quest -- one that proved fatal for many new clubs of the era -- to provide golf for its members while powering through the Depression, which would be followed soon after, of course, by World War II and the subsequent rush on land development. The club hosted the 1938 Metropolitan PGA, and at least a few times bounced between public course and private facility. Its original pro left after a decade to fight in the War, then immediately returned to his post after being wounded and serving four years overseas. There were ownership changes and requisite mid-1940s chatter about home building on the site. The layout had enough notoriety among Long Island courses that Pee Wee Reese and some Brooklyn Dodger teammates headed to Oceanside for a round after a 1950 rainout at Ebbets Field. Amazingly, despite the general turmoil of the day, there were some rumblings about constructing a new extension of the course closer to the bay. Trost, two decades after his preview of Oceanside, reported in the Eagle that the new layout would go by the name Golfbay, to be designed by Alfred Tull. Meanwhile there were other more ominous rumblings regarding a threat that would ultimately take out Oceanside's neighbor in Baldwin, then part of Oceanside itself -- schools. New neighborhoods require new schools, and the rise of post-WWII suburbs meant open season on open space. By 1951 the Oceanside School District set its sights on the golf course and carried the support of local taxpayers. The following year, Baldwin's Willowbrook Club (formerly Milburn) on Grand Avenue was bulldozed to make way for Baldwin High School, and Oceanside would soon lose the same fight. Thirty-five acres of the course north of Waukena were lopped off, soon to become the grounds of Oceanside High. Still, Oceanside trudged forward. 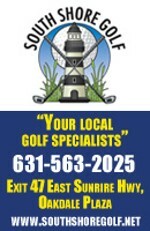 "Rather than throwing in the sponge when Oceanside High School takes its 35-acre bite," wrote Newsday's Bill Searby, "[the club] will continue to operate on a limited basis for the rest of [the 1952] season and plans to reopen as a better-than-ever country club in '53." Gone were the first six holes (and about half its members to Engineers CC in Roslyn, per Newsday), but the club made use of its remaining 12, all while preparing to build southward over the expansive marshland that separated the course from the bay. "The chore" of building on filled-in marsh "is a mountainous one," Searby wrote, but confidence in the revamped course -- to be called Middle Bay -- was high. Trost returned in 1954 to give yet another preview during the course's grow-in phase. "The new course ... will be rugged and strictly seaside," Trost wrote. "The wind will be the dictator, really controlling par, yardage and the type of shots." He concluded, "Altogether Middle Bay won't look a bit like Oceanside. The name change is fitting." Middle Bay, designed by Alfred Tull, opened in full as a private club in 1955. Tull touched up the new holes over the first several seasons, making modifications as irrigation and saltwater spray required. It remained private until 2012 when Sandy struck. Golfers who play Middle Bay today often take note of the contrast between the open bayfront holes and the tighter, tree-lined fairways away from the water. The latter, those parkland-style holes, are distant remnants of Oceanside, albeit altered over time. Modifications and alterations continue at today's Middle Bay. Each season since its post-Sandy rebirth, the course slowly brought back its driving range, added a cafe and installed new paths and bulkheads. Earlier this year it leveled its 1960s-era clubhouse, and a new one is expected to open sometime in 2020.